Self-esteem is terrific but can be an extremely delicate thing. When your self-esteem is high, you feel more resilient and are less vulnerable to anxiety. Unfortunately, it can be a challenge to improve our self-esteem, especially if you’ve experienced setbacks in the past. Here are five simple ways to help improve your self-esteem and deal with life’s unexpected blows. The idea behind positive affirmations is that you fill your mind with positive thoughts until you begin to believe them. 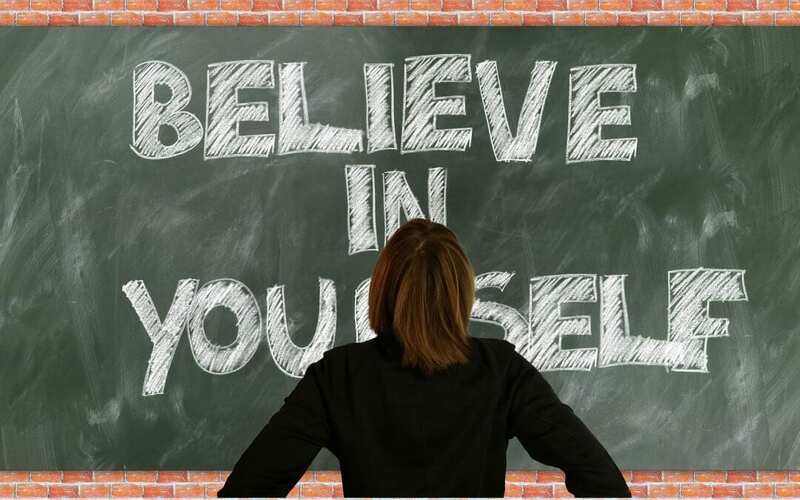 It is a popular way to build self-esteem because it is simple, and anyone can do it. Unfortunately, if not done in the right way, it can lead to even lower self-esteem. Consider changing the affirmation I’m going to be successful to something more manageable like, I will continue until I succeed. Your self-esteem will grow when you demonstrate real abilities and achievements in areas of your life that matter to you. You need to figure your what your core skills and talents are and find opportunities that will emphasise those skills. When we feel bad about ourselves, it can be hard for anywhere else to drag us out. During these times, we tend to be more resistant to compliments. Rather than shrugging off compliments as lies, you should try to set the goal of tolerating compliments when you receive them. This is important to do, even if it feels uncomfortable because it will be worth it in the long run. We are more likely to kick ourselves when we are down. When we have low self-esteem, we tend to do even more damage to it by being self-critical. When you start to tell yourself all the things that you are doing wrong and criticising yourself for who you are, think twice about what you are saying. By taking a few minutes to recognise the self-criticism, you will give yourself the ability to start building yourself up instead. Reminding yourself of your real worth is the best way to revive low self-esteem when your confidence sustains a blow. If you fail to get a promotion at work, write down everything that makes you a valuable employee, such as being reliable. Write a short paragraph or two about why each quality is essential and why others will appreciate it. Building your self-esteem isn’t going to be an easy task, and it requires a lot of hard work, but the return you get will be invaluable if you do it correctly. If you would like some support with creating strategies to boost your self-esteem, get in touch for a Complimentary Discovery Call.